We will demonstrate using this display with an Arduino UNO compatible. 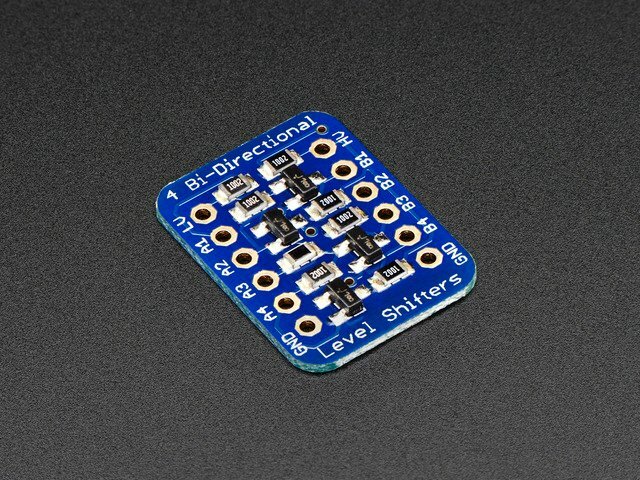 If you are using a 3V logic device you can skip the level shifter and connect direct from the microcontroller to display. You can also use another kind of level shifter if you like. Any microcontroller with I2C + 1 pin or 4 or 5 pins can be used, but we recommend testing it out with an UNO before you try a different processor. 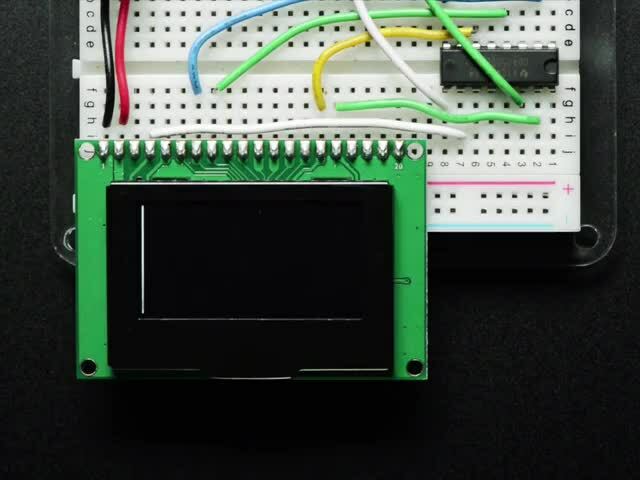 Don't forget you have to set the display to SPI mode, see the Assembly step on how to do that! Later on, once we get it working, we can adjust the library to use hardware SPI if you desire, or change the pins to any others. Place the Adafruit_SSD1305 library folder your arduinosketchfolder/libraries/ folder. You may need to create the libraries subfolder if its your first library. Restart the IDE. Or click on the button below and follow the same instructions you did for the Adafruit_SSD1305 library. Uncompress and rename the folder to Adafruit_GFX (contains Adafruit_GFX.cpp and .h). Then place them inside your Arduino libraries folder and restart the Arduino IDE. If this is all unfamiliar, we have a tutorial introducing Arduino library concepts and installation. Now upload the sketch to your Arduino. That's pretty much it! You should see immediate update of the display. Change those to whatever you like! If you want a little more speed, you can 'upgrade' to Hardware SPI. Its a bit faster, maybe 2x faster to draw but requires you to use the hardware SPI pins. 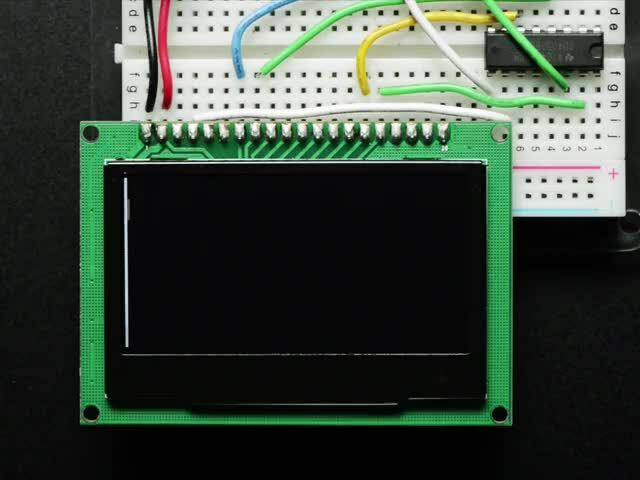 It is also possible to use the display in I2C mode. Its a little slower but uses way fewer pins. Don't forget you have to set the display to I2C mode, see the Assembly step on how to do that! While its ideal to use level shifters on the I2C pins, you can sorta get away with this on an arduino, because the I2C pins are open collector and there are very weak pullups on those two lines. 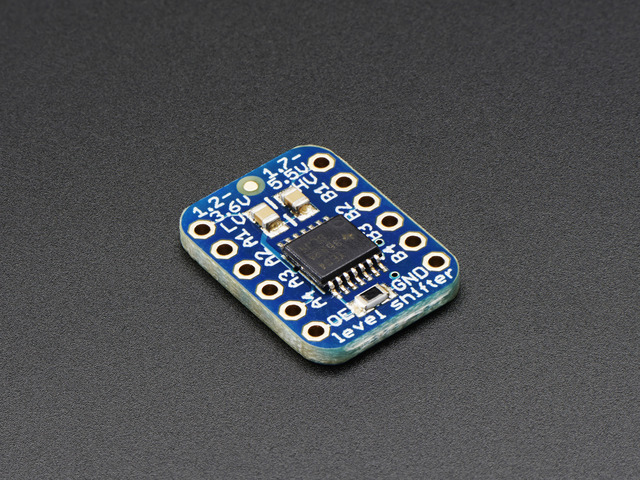 If using with other I2C devices, we suggest using a 3V-logic arduino or an I2C-safe shifter. Everything else about the display is identical to SPI mode. By default we use I2C address 0x3C which is what we get by connecting DC/A0 to ground. If you tie that pin to 3.3V instead, the address will be 0x3D and all you have to do is call display.begin(0x3D) to initialize with that address. This guide was first published on Nov 04, 2015. It was last updated on Nov 04, 2015. This page (Wiring & Test) was last updated on Apr 25, 2019.